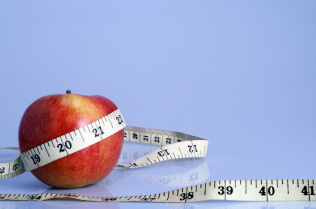 What is Nutrition / Dietetics? Personal health is constantly changing. To have a positive influence on your state of wellness over time, it is important to understand healthy eating and the role that food plays in both preventing and improving a variety of health conditions and diseases. Appropriate nutrition is necessary for optimal growth and development, physical activity, reproduction, recovery from illness and injury, and maintenance of health throughout the life cycle. The mission of our nutritionists / dietitians is to educate and thus empower our clients to create a healthy environment for their body through proper food intake and nutritional support. Establishment of short term and long term goals to achieve optimal health, whether that means improving current conditions or preventing future illness. Resources to help you achieve your goals. A healthy diet and lifestyle are your best weapons in the fight against disease and illness. Allow our Downtown Montreal Nutritionists / Dietitians to provide you with the necessary tools to improve your health from the inside out. Our Downtown Montreal Nutrition / Dietetics Clinic has appointments available that include daytime, after-work hours and on weekends.